The three alumni of The Indian High School (IHS) in Dubai are now salaried employees of the school. Two of them have already earned their university degrees and one is pursuing his degree as well. The alumni said IHS stepped forward to help them when they faced an uncertain future after graduating school. The trio could not afford university studies in Dubai, had no sponsor for a UAE resident visa, and no career prospects. The students had almost resigned to fate that they would have had to return home to India without a degree or job. Considering their circumstances, IHS provided them internships and sponsored their university tuition fees. The graduates are now continuing working at the school, taking on further responsibilities and earning salaries between Dh3,500 and Dh4,000 a month. The school said it will consider other “genuine cases” in taking the initiative forward. 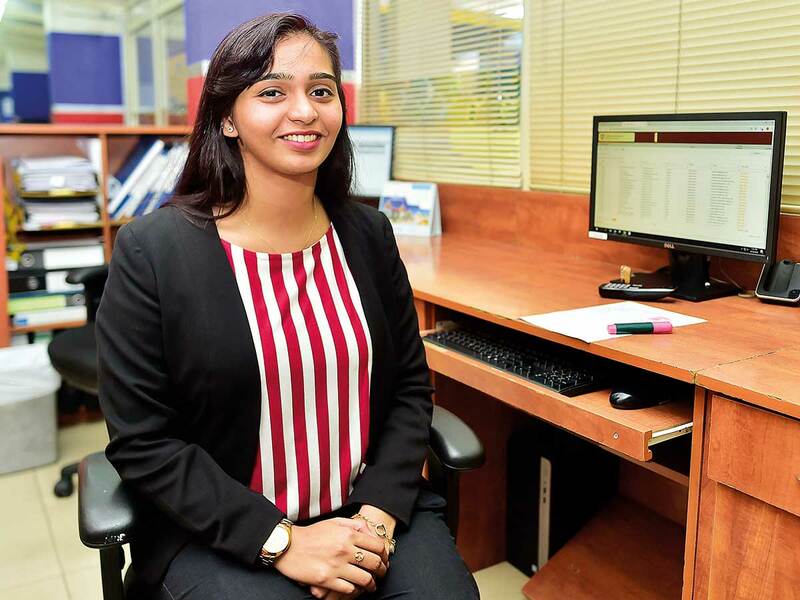 Nabeeha Khan, one of the three alumni who works in the school’s ICT department, said while she was in her last year in school, in grade 12, her father “was handed an early retirement”. She lost her father’s visa sponsorship and went to India after graduating high school. Khan would continue to visit the UAE on visit visas. Khan was doubly pleased when IHS decided to sponsor her university fees while she gained work experience at school. Late last year, she earned a bachelor’s degree in games development from SAE Institute in Dubai. After graduating university, Khan now has added responsibilities such as handling tasks related to software used by the school, which is her visa sponsor also. “My journey at IHS started 19 years ago, with admission to kindergarten, and as an employee now. IHS is my second home … The deep sense of gratitude that I have for the school management, which developed when they had put their trust in me, is what brings me here every day,” she added. Like Khan, another IHS student who had been brought up in Dubai could not afford further studies in Dubai after graduating high school. Our commitment to the support of learners extends beyond the classrooms and school years. IHS believes that any challenging situation should not close the doors for higher education and the subsequent professional opportunities. B.A., now 26, started her internship at the school and her studies at American College of Dubai (ACD) at the same time in 2013. She obtained her bachelor’s degree in finance in 2017 and has been working in the office of the principal at IHS, where she supports the staff in the day-to-day functioning of the office. BA said timely intervention from IHS had “provided me the flexibility to manage both work and study. My superiors have always been supportive and this has helped me to graduate with honours”. 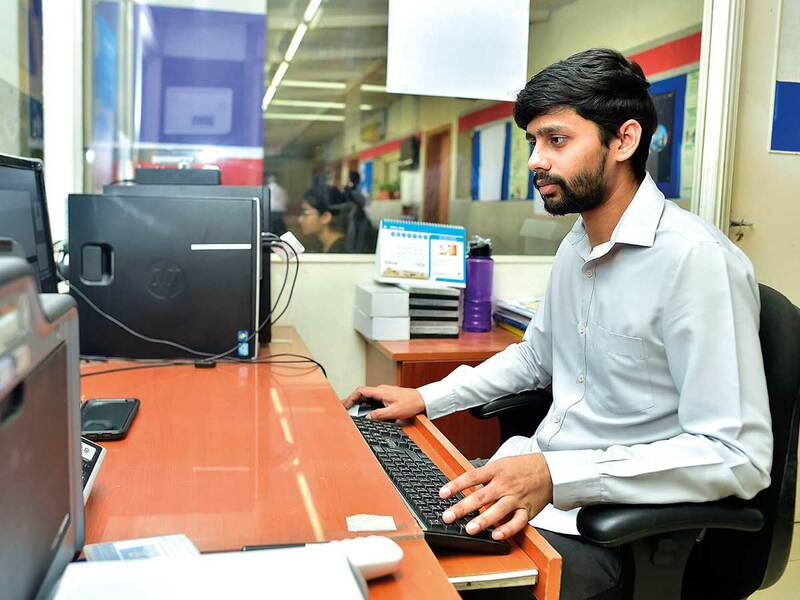 IHS graduate Shekar Behwal, 27, also found work placement at the school’s ICT in 2010 and is pursuing his BBA degree from ACD. Behwal had taken some time off from university during the tenure. “I was looking for part-time evening classes at university and also work experience. You find students who do both, but there’s no student that I know who is working at his school and going to university. I’ve already gained nine years of work experience. This was all possible thanks to IHS,” said Behwal, currently the RFID and data entry in-charge at IHS. Children under 15 cannot be employed in the UAE. However, children aged 15 to 18 can, under special conditions, be permitted to work. Also, after a change in laws, university students in Dubai can now legally hold paid part-time jobs in thousands of companies in nine Dubai free zone clusters. This “earn while you learn” programme extends to over 20 higher education providers in the clusters, opening prospects with over 4,500 businesses in Dubai Internet City, Dubai Media City, Dubai Studio City, Dubai Production City, Dubai Outsource City, Dubai Knowledge Park, Dubai International Academic City, Dubai Science Park and Dubai Design District.